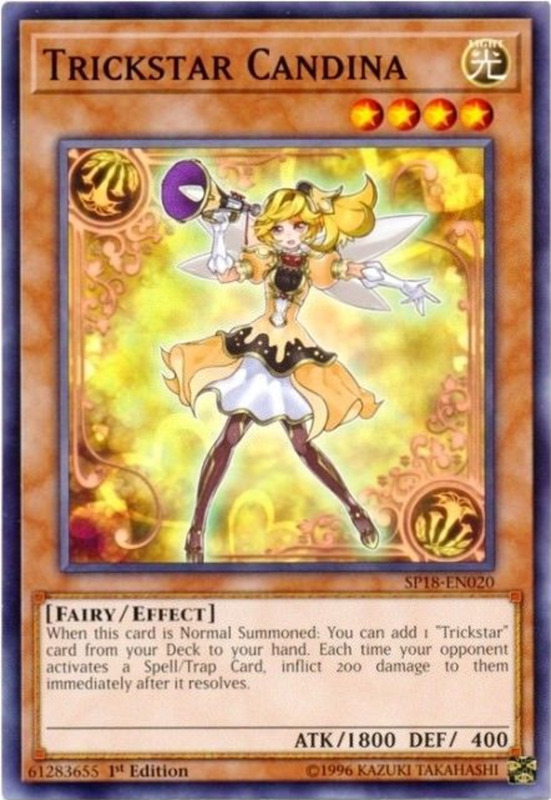 Any duelist worth his Dark Magician knows the Yu-Gi-Oh card game contains three broad card categories: monsters, spells, and traps. Each of these is further divided into subcategories that help segment cards and reveal at what times they can be played. One of the most entertaining card types are equip spells, magic cards that attach to a monster and offer it a variety of great benefits. Many provide at least one ATK-strengthening effect, and today we'll rank the ten best to help you arm your own deck of monsters! Whenever an equipped monster is destroyed, any equipped spells follow it to the graveyard, making it crucial to protect your army. Big Bang Shot here compounds the issue by reversing the process as well: when Big Bang Shot is destroyed, its target creature is banished from play. Despite this disadvantage, you're getting two boosts for the price of one. 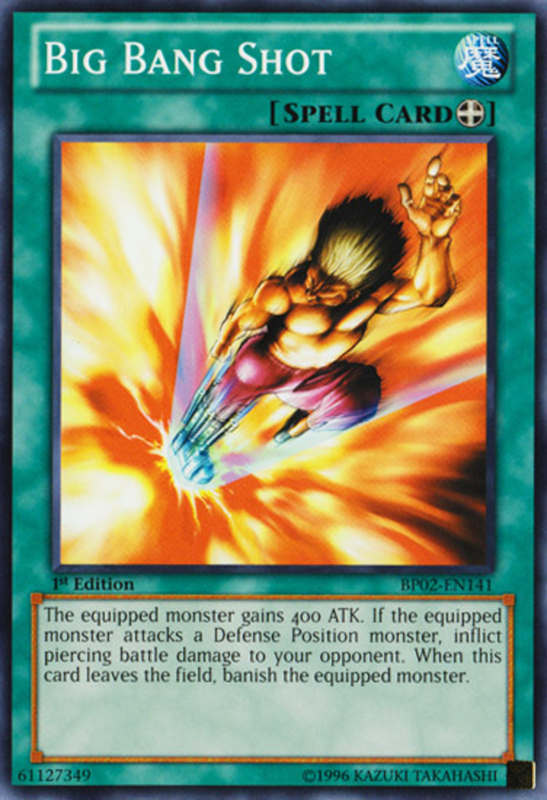 The impacted monster receives a 400 ATK bonus and when attacking it deals "piercing" damage to your opponent, or the difference between its ATK and a defense-position monster's DEF. With these traits, your opponent won't be able to stall in defense behind a swarm of weaklings, as you'll be chipping away at their life with each blow. Still, best to attach Big Bang to a monster you don't mind being banished—just in case. 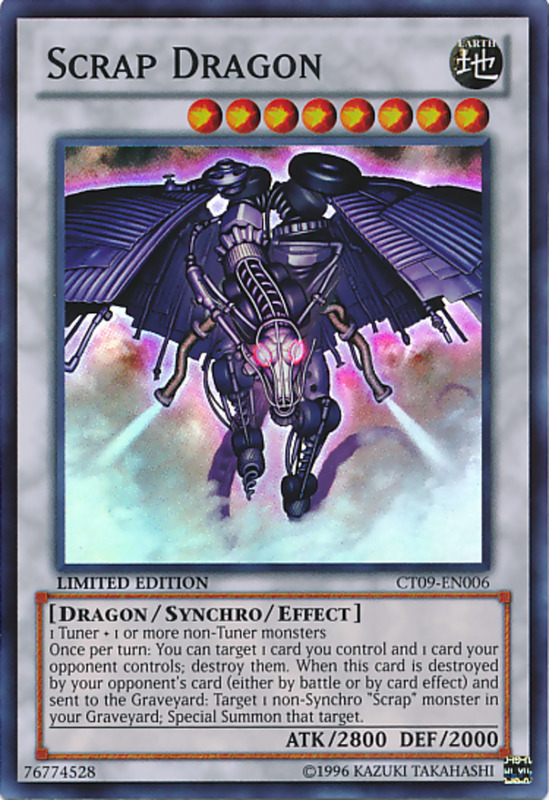 Many equipment cards can only be fitted onto a certain type or series of monsters. A prime example, Cestus of Dagla will attach to any fairy-type creature. Fairies are known for their tricky effects and protective powers, and Cestus doesn't let them down. 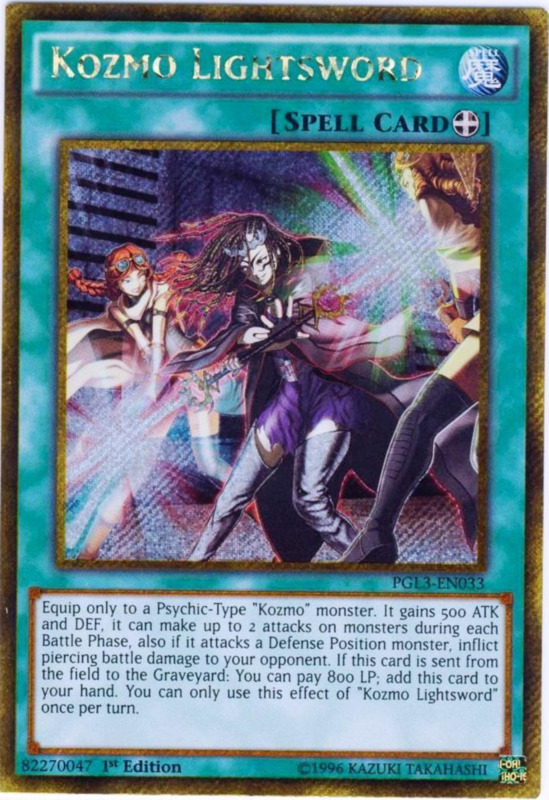 Its first effect adds a respectable 500 ATK to its target, and whenever the bearer deals battle damage to your opponent, its second traits lets you gain a corresponding amount of life points. 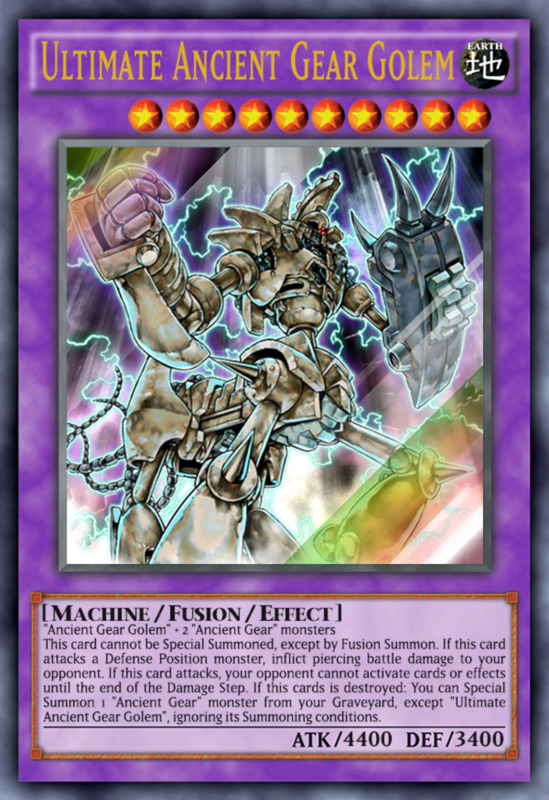 The great thing here is that Cestus activates regardless of whether the battle damage stemmed from fighting an opposing monster or from a direct attack; both will trigger the ability and add to your health reservoirs. Admittedly, Powered Jersey's awesome benefits come with a price: you banish the equipped monster during your standby phase (the start of your next turn after equipping). However, the U.A. monsters are great at swapping in and out from the field to the hand, and Powered Jersey's last ability makes it easy to avoid this downside as long as you have a U.A. monster in hand to tag in. 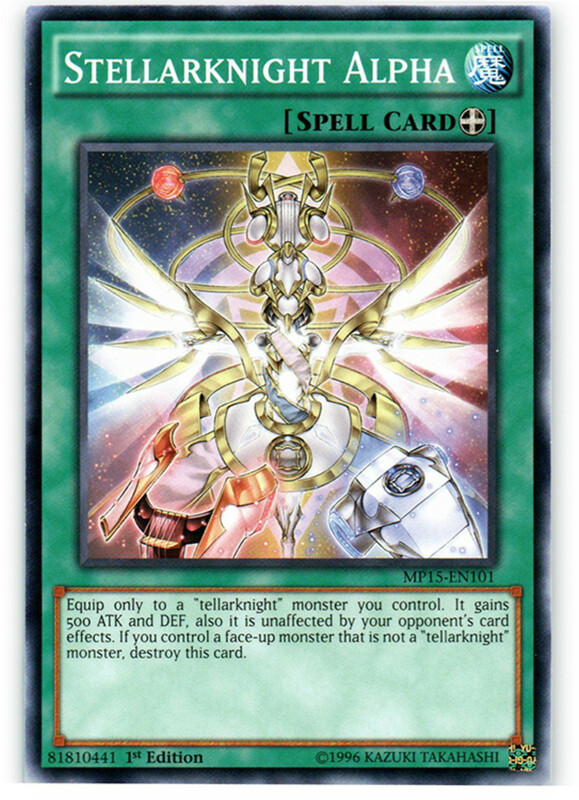 Another archetype-specific card, Stellarknight Alpha assists the xyz-centered tellarknight monsters. In fact, not only does it demand a tellarknight to attach to, it destroys itself if you ever control a face-up non-tellarknight monster. 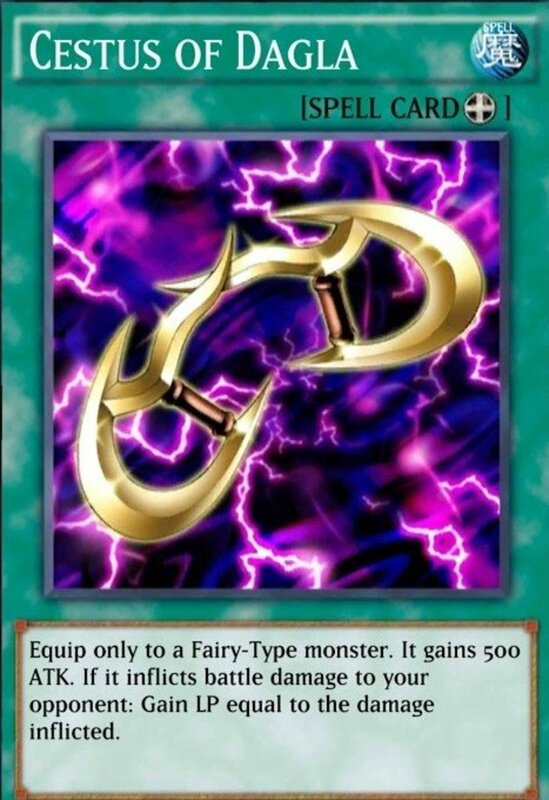 In exchange for this restriction, the card offers it recipient 500 ATK alongside a truly awesome quality: complete immunity to your opponent's card effects! Yep, as long as Alpha is in play, your monster can entirely ignore whatever they throw at your titan, and with the 500 ATK boost, conquering it in battle won't be easy. Truly a wonderful equipment that helps keep the tellarknight monsters relevant. Lightsword's first three abilities strengthen your monster, allow it to attack monsters twice, and let it smash through blockers, but its last adds the especially-coveted option of retrieving Lightsword when it's sent to the graveyard. 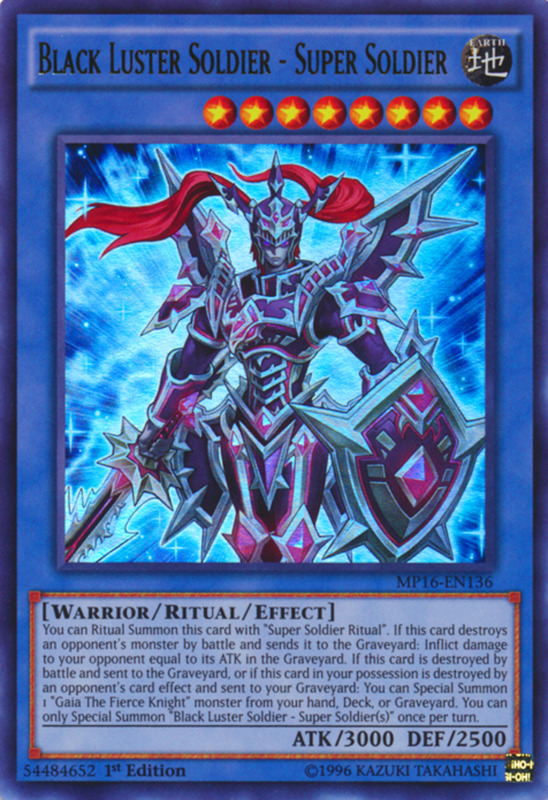 This makes it ridiculously easy to keep Lightsword in play and hammering at your opponent; definitely employ life point-regaining cards to ensure you have the necessary health to spend. First, Fulled Armed drastically boosts Super Agent's ATK. 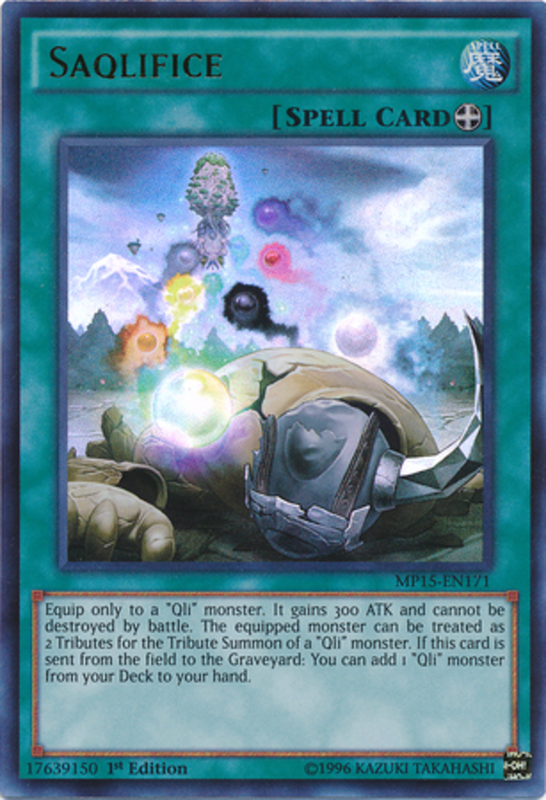 Then, it lets you banish destroyed monsters (preventing graveyard recoveries) plus any other card of your choice! 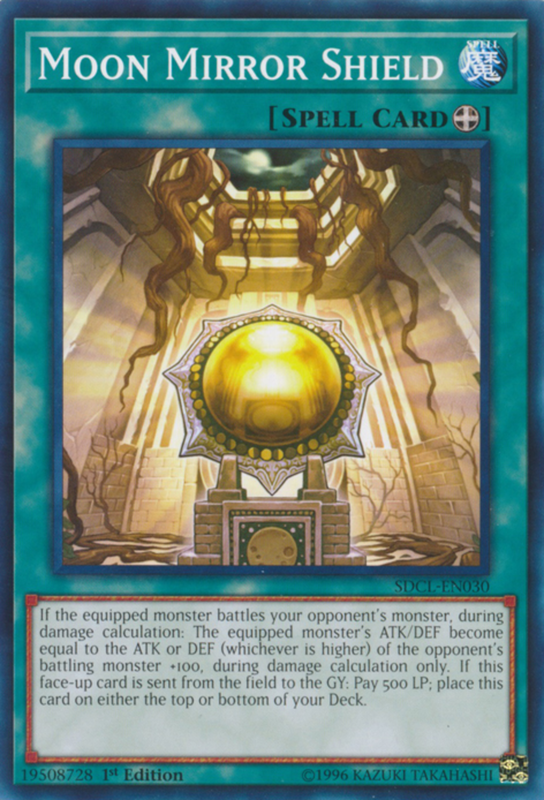 This is a great way to remove opposing spells/traps alongside monsters and should rapidly decimate your opponent's field. 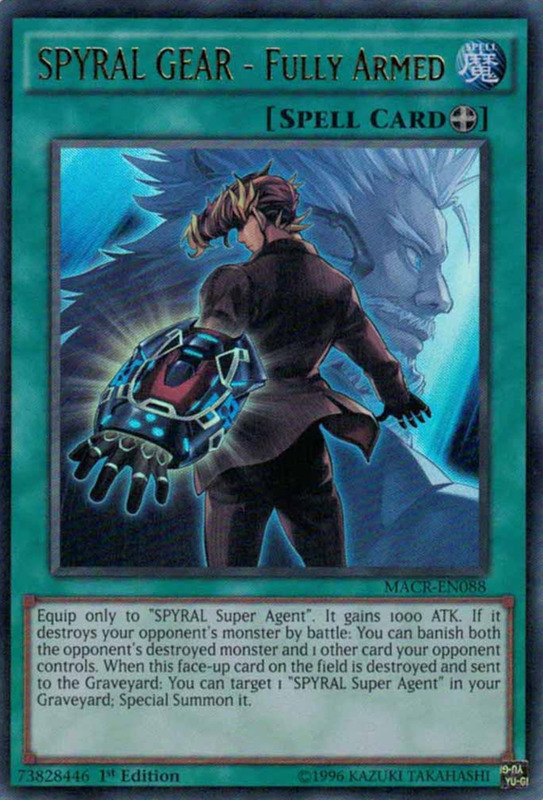 To top things off, upon its demise, Fully Armed refuses to go down without a fight and summons Super Agent from the graveyard. Truly a versatile magic, Saqlifice gives a bit of everything. Offensively, it provides a slight ATK boost. For defense, it can stall by rendering its bearer immune to battle destruction. 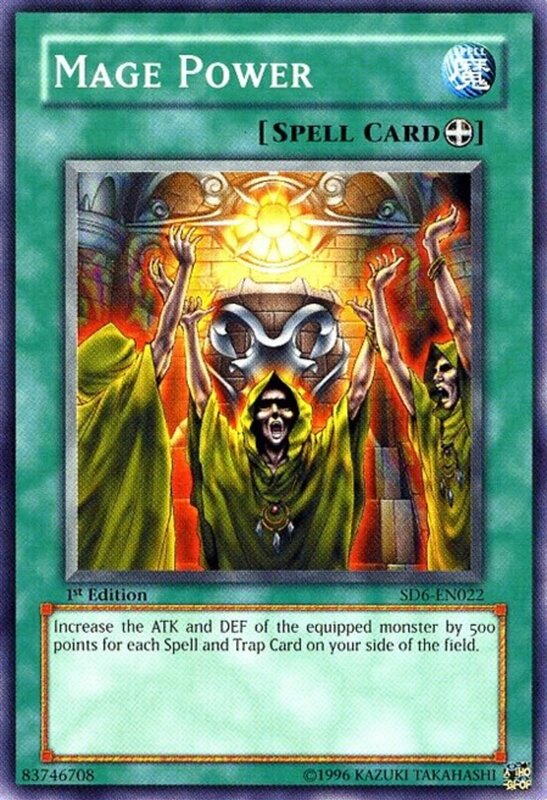 For summoning powerful monsters, it counts as two saqlifices (clever pun, Konami), and for card advantage, it adds to your hand when sent to the graveyard. All-in-all, a spectacular necessity for any Qli build. Our last three entries offer less effects, but can attach to absolutely any monster. Moon Mirror Shield grants a simple trait that essentially guarantees victory in battle. Whenever the equipped monster battles, its ATK and DEF become equal to the ATK or DEF (whichever is higher) of the opposing monster plus 100. 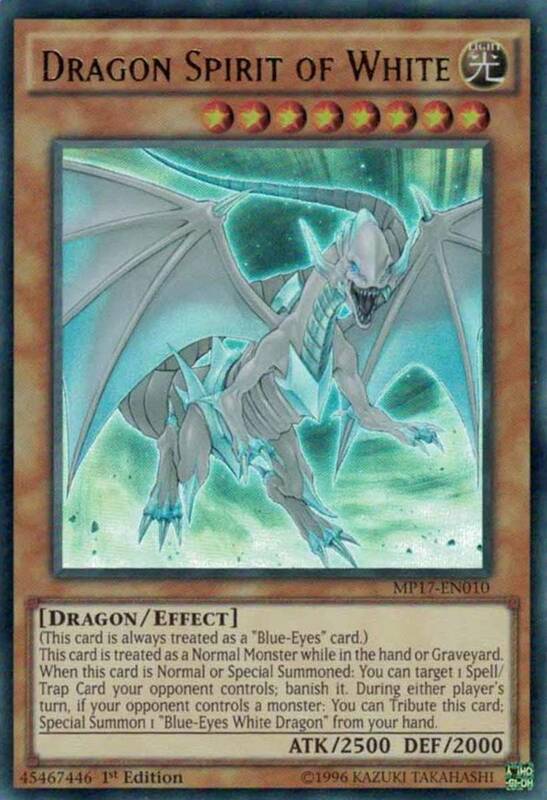 This makes the original stats of your monster irrelevant; slap Moon Mirror on some pipsqueak token or throwaway monster and watch it triumph against even a Blue-Eyes White Dragon. 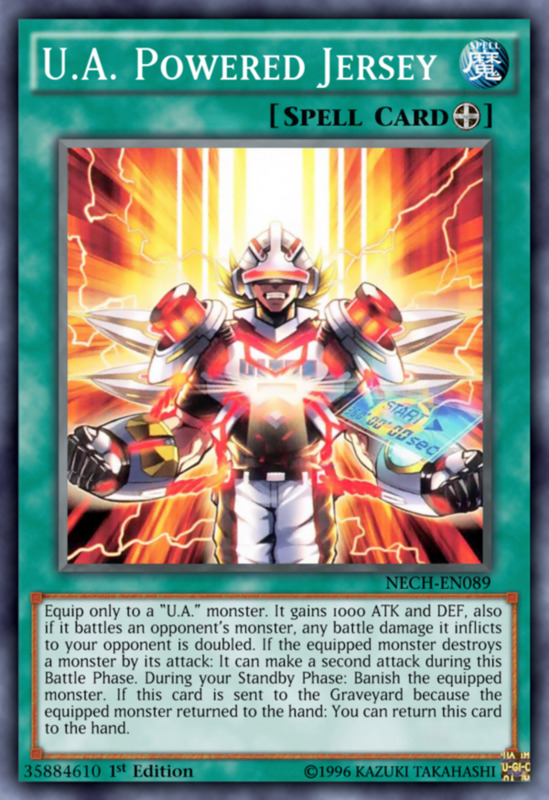 As a final gift, when this face-up card heads to the graveyard, you pay 500 life points, but you're able to put this card on either the top or bottom of your deck. This lets you either soon redraw it for further use, or bury it in your deck if you instead hope to draw a different card. It also barricades against mill decks, who hope to win by leaving you with nothing to draw, by refilling your deck. Time to get serious. 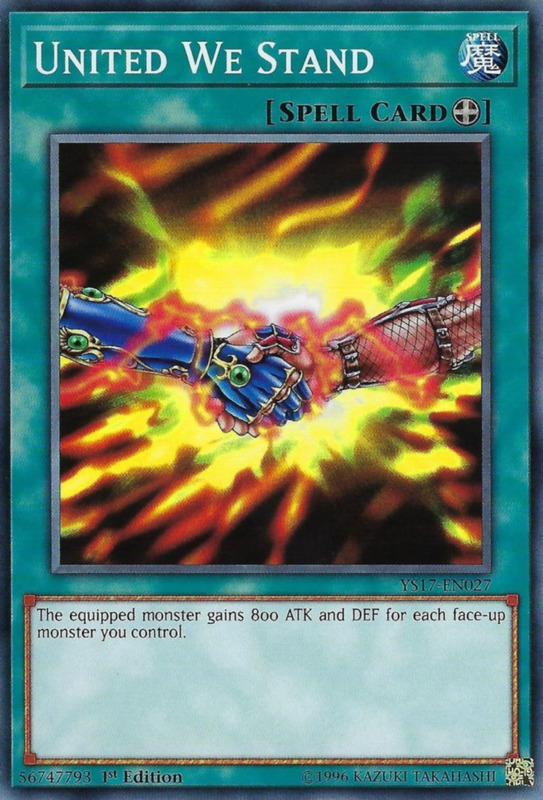 Our last two entries are about as simple as you can get: they offer straight-up ATK and DEF boosts with no strings attached; United We Stand provides 800 per face-up monster you control. 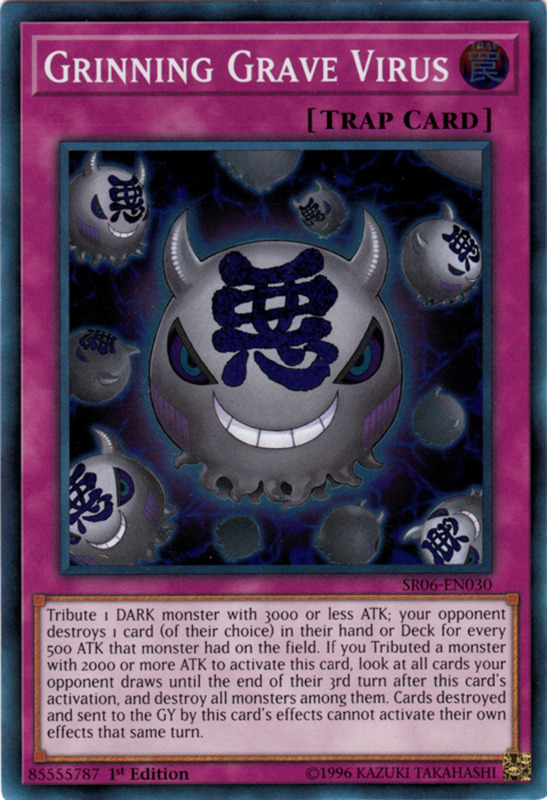 This guarantees at least 800, which in itself is nothing to sneeze at, but can go up to a whopping 4800 (remember, with the debut of link summoning, players now have six monster zones). And that's it. With thousands and thousands of potential ATK points (not to mention DEF), you can execute one-turn kills with a swarmed field and this handy spell. Offering 500 ATK/DEF per spell and trap you control (including face-down ones), Mage Power caps off at 3000 (five normal slots plus the field spell zone), not quite as impressive as 4800 but still stupendous. Since players can set any number of spells and traps per turn, achieving this plateau is easier than the swarming for United We Stand, giving Mage Power the advantage. Back when the two pendulum zones were separate from the regular five spell/trap zones, Mage Power functioned even better, capping at 4000. As is, it's still the easiest way to skyrocket any monster's ATK and overwhelm foes with a fearsome beatstick. 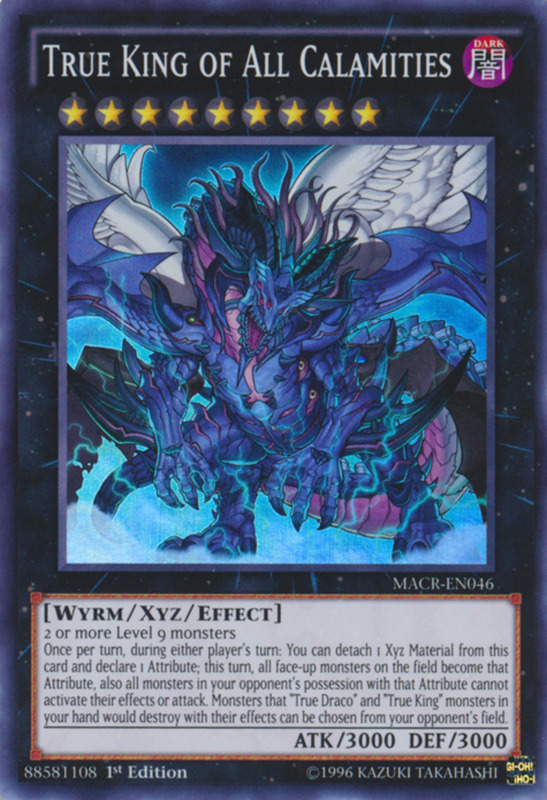 The idea behind equip spells, strengthening your monsters beyond their normal limits, has always attracted duelists, and since many can impact any monster, they're hard for opponents to predict. Experiment to find the right balance of equipment for your build, and you'll soon conquer your foes in no time. 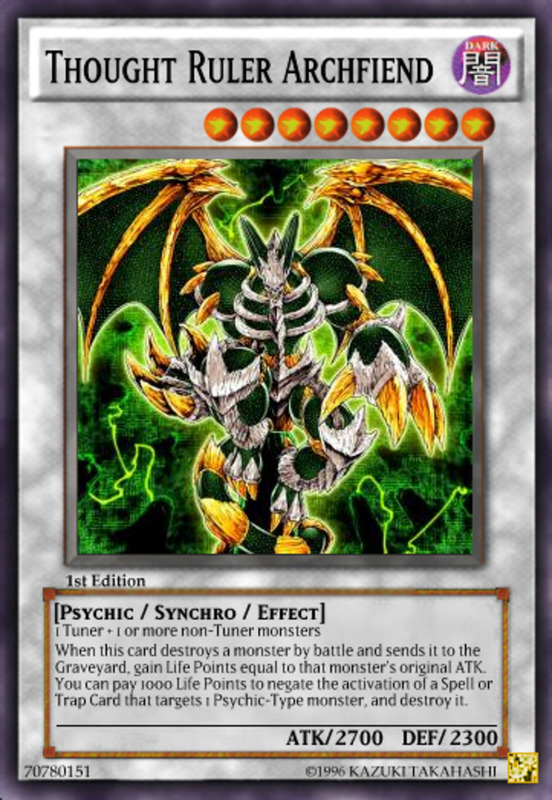 As we eagerly await Yu-Gi-Oh's next batch of monster arnaments, vote for your favorite spell, and I'll see you at our next card countdown!